Wire Cages: For many years I did not recommend using wire cages. I had read horror stories of hedgehogs getting their head or legs caught between the wires. However, I now believe that these types of cages can be one of the best choices, if care is taken to get one that is hedgehog-safe. Guinea pig and ferret cages tend to work best. I like those that have vertical bars, as climbing is not easy. You will also need to watch wire spacing. Nothing wider than 1 inch is recommended, and you may need to weave fabric or plastic between the bars for younger hedgehogs as their heads may still fit between the bars. This type of cage is easy to find, allows for excellent ventilation, and provides adequate floor space for a happy, healthy hedgehog. I started using Ferret Nation cages for my hedgehogs. These cages provide a lot of floor space, excellent air flow, and you can house two hedgehogs by separating the top and bottom section of the cage. I purchased galvanized steel pans from Bass Equipment to replace the stock plastic pans that came with the cage. These have taller sides, keeping food and waste from being kicked out onto the floor. To keep the pans warm during the winter, I put two layers of fleece under the pans. If you are creative you can also add a second level to each section. Note: Not all hedgehogs will use a 2nd level. Second levels and all ramps must be completely enclosed to prevent falls. Cubes & Coroplast cages: This cage idea has been around for a while. Many hedgehog owners have used this design after a guinea pig website started using the two components together and found they worked really well. I do, however, have three concerns with this cage style. First, I would be wary of using it with hedgehogs who are very young and small, who might be tempted to put their heads through the cage walls and get stuck. Second, be aware that if your hedgehog decides to climb, he may escape fairly easily from these cages if they don't have a top or if the Coroplast sides are not tall enough. Lastly, these cages can be a bit more difficult to keep warm as the sides are open. Wading pools: Using a hard plastic wading pool can be quite benefical, as they provide plenty of running space for your hedgehog. You do need to be very careful that your hedgehog is not able to climb out of the pool. Lots of owners use these as play pens. If you are worried about the sides being too short, some people have cut the bottom out of one pool and placed it into another pool to make the side taller. Glass aquariums: Although many websites still recommend using glass aquariums for small mammals, this type of housing is not a good choice for hedgehogs. Standard aquariums do not offer enough floor space for a hedgehog, and proper airflow is a huge problem, leading to buildups of ammonia and methane from waste. Aquariums that provide adequate floor space are heavy and are difficult to clean thoroughly, and special care must be taken to provide proper air flow. I keep my hedgehogs warm by using oil-radiator-type space heater to keep the hedgehogs' room warm during the long, cold Michigan winters. 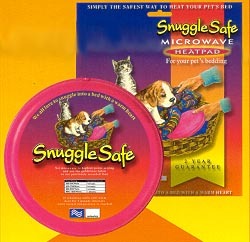 Snuggle Safe HeatPad: Heat this product in your microwave for 4 minutes and place underneath your pet's bedding. It contains Thermapol, a non-toxic and environmentally-friendly material, and never needs to be refilled. I have heard several owners say they place this product under their hedgehog's sleeping place and it works really well. While initially hard to find, these have become more readily available. Call your local pet stor or check online for sources. Hand warmers: hese are the hand warmers that involve bending to break an internal pouch, which creates a chemical reaction to produce heat for up to two hours. I highly recommend having a few of these on hand for emergencies when you have no other way of providing heat for your hedgehog. Care should be taken in their use. The hedgehog should not be able to come into direct with the hand warmer, and proper ventilation is a must. You can find these in the sporting goods section of your local department store. Ceramic Heat Emitters are becoming more and more popular in the hedgehog community. They are basically a heat lamp that creates no light. They require as special heat lamp and a thermostat for proper temperature regulation. These units do get extremely hot, so special care must be taken to ensure that they are secure and will not come into contact with anything that may burn or melt. Hedgehog necks do not articulate to allow for a hedgehog to comfortably drink from them. Because of this unnatural position, it can be difficult for many hedgehogs to get enough water from their bottle. Because of this a hedgehog may bite at the nozzle. Bottles can become clogged, causing a hedgehog to either go without water, or to bite at the nozzle. Hedgehogs that bite on water bottle nozzles can break teeth. Hedgheogs are not rodents. Once a tooth is broken, it will not grow back and can become a health risk. Bottles can be difficult to clean properly and bacterial growth can quickly become a problem. It is easy for an owner to decide a bottle has plenty of water and neglect to clean and refill it. This promotes bacterial growth and is not a clean source of water. Water bottles have been known to spring leaks, which can soak the hedgehog's bedding. Wet bedding can increase the risk of your hedgehog becoming chilled and attempting hibernation. Some hedgehogs have gotten their tongues caught in the water bottle nozzle. The damage done to a caught tongue can result in permanent damage or even death of your hedgehog. 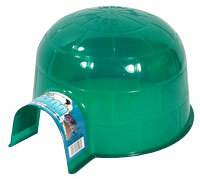 A better source of drinking water for your hedgehog is either a waterer or a water bowl. These provide a more natural approach to drinking, allowing your hedgehog to lap and swallow as nature intended it to. However, hedgehogs that burrow may get their bedding in their bowl or tip it over. Compared to the dangers presented by water bottles, I consider these problems to be minor, and with a little creativity they can be addressed. For many years I have been using small tempered-glass condiment/dipping bowls. These work great, as they are intended for human use and glass, which eliminates any danger from lead used in some ceramic glazes; they are big enough to provide plenty of water, and yet shallow enough that a hedgehog can easily stand at the bowl and drink without tipping it over; and they are easily sanitized in the dishwasher. While many owners use the small ceramic crocks sold in pet stores, I advise against their use. Many are made in countries that still allow the use of lead in ceramic glazes, and the simple fact that they are intended for pet use and not human use may mean less care has been taken to ensure their safety. Wood chips have been known to harbor mites. Wood chips and splinters can get stuck in sensitive areas, including eyes (sometimes even leading to loss of the eye), mouths, and the penile sheath of male hedgehogs. Substrate beddings can be dusty and cause respiratory problems. 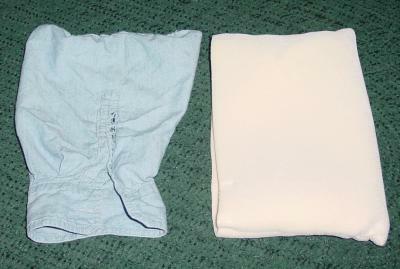 Cloth liners are washable and reusable. Light colored liners allow for faster detection of health issues. In substrate bedding it can be diffcult to detect bloody urine, green or liquid feces, etc. No wood shavings on the floor. Vellux Blankets: I used to use cage liners made from Vellux blankets, and they were very popular at the time. Many hedgehog owners would cut the blankets into cage size pieces and use them instead of substrate bedding. Since the edges of Vellux do not fray, you don't have to worry about loose threads getting wrapped around hedgehog legs, and the blankets held their shape for many washings. However, one major downside was discovered with hedgehogs that dig. These blankets can quickly be destroyed by a digging hedgehog. They also hold onto moisture quite well, and when wet, can become quite cold. Fleece/flannel/corduroy cage liners: Fleece and combination material cage liners have replaced Vellux as the cloth liner of choice. To use them, you can either simply cut pieces of anti-pill fleece to the size of your cage, or you can sew liners made from corduroy or flannel with a layer of fleece inside. I highly recommend selecting light colors (light tan or yellows are my preference). The lighter color liners allow for easy detection of off color stools, urine and/or blood. Care must be taken to only use fabrics that cannot fray and to eliminate loose threads, as these can become wrapped around hedgehog toes or legs, which if not discovered soon enough can lead to gangrene and necessary amputation. CareFresh Ultra (white): Out of the substrate bedding available this one at least comes in white. The color makes detection of green stools, and blood easier, however detection is not as easy as with cloth liners. 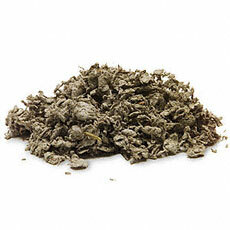 Any substrate bedding cause be dusty and can cause respiratory problems in hedgehogs. Wood shavings should be avoided. Soft wood like cedar and pine emit poisonous fumes. Harder wood like aspen do not emit fumes, but still present real dangers to hedgehog eyes, ears, and other sensitive areas. In addition, wood shavings fresh from the store can contain mites, an infestation of which can be difficult and expensive to treat and eliminate. Just say no to wood bedding for hedgehogs. Newspapers: I also don't recommend newspaper, as while it is easy to find, it doesn't absorb liquid or dry out quickly. Exercise wheels are an absolute must for a happy, healthy hedgehog. A large wheel (12-inch diameter or larger) is recommended. Be certain that the running surface is solid so that the hedgehog has little risk of slipping and breaking a leg. You can find a listing of wheels on the Product page. Toilet paper roll tubes: Many hedgehogs love toilet paper tubes to play with. They will stick their heads into the tube, then walk around with it. Some owners will suggest cutting the side of the tube so that they cannot get their heads stuck in them. 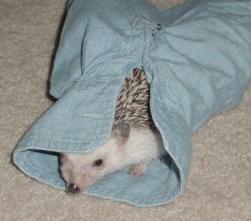 There are plenty of hedgehogs that will not use a tube in this fashion though, so do not be upset if yours doesn't. I have had plenty that wouldn't stick their heads in the tubes but did like to roll them around. "Recycled" toys: This article was written for the International Hedgehog Association's Newsletter as a listing of common household items which your hedgehog may use as a toy. 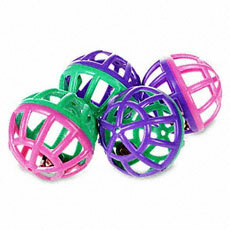 Plastic Cat Balls: Some hedgehogs like to play with cat balls that have bells in them, others just like the brightly colored ones to push around. Stay away from balls that contain slotted spaces. Occasionally a hedgehog may get their mouth caught in these slots and there has been one that had major damage done to her mouth from it. Also I would stay away from sponge balls, and anything with glitter on it for fear the hedgehog may eat it. If you can sew, you can try making your own from pieces of fleece. I have made a few and my hedgehogs love them. Plastic Toy Cars: Some hedgehogs may enjoy exploring, pushing and crawling around on brightly colored toy trucks and cars. These are not items I would keep in my hedgehog's cage, but are items you can try using under supervised play. Again watch for any loose items or sharp plastic that could hurt a hedgehog. Others: Other toys I have had my hedgehogs play with include small light weight stuffed animals, pvc pipes, plastic cereal bowls, tissue/oatmeal boxes, and anything that a hedgehog can push, pull or explore around in. Not all hedgehogs will play with toys. You will need to find items that compliment your hedgehog's personality. Some hedgehogs are runners and only their exercise wheel will get much attention. Others are explorers, and will enjoy any type of tunnel. Some hedgehogs like items they can burrow under and others may enjoy cloth balls, stuffed animals, fleece covered oatmeal containers, etc. 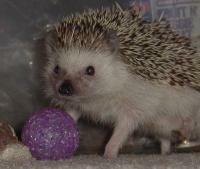 Be mindful of your hedgehog's personality, and watch for items you think they may enjoy. Do not give up just because your hedgehog ignores an item the first time you offer it. Hedgehogs can be very resistent to new items, and it may take a few tries before they decide the item is not going to harm them. Sleeping places are very important to a hedgehogs mental well being. A sleeping place will provide your hedgehog a place to hide when they are feeling a bit scared or nervous, and to feel a bit more secure while they are sleeping. Hedgie bags: Most hedgehogs will prefer to sleep in a hedgie bag. It is always good to have more than one bag so that you have spares to swap out when they get dirty. When making sleeping bages, watch out for loose threads and check them often to ensure they are not unravelling. A loose thread can quickly amputate a hedgehog's leg. Cuddle cups: These basically look like small cat beds with a cut out on one side to allow for easier access. I place a fleece blanket over the top to add privacy and my hedgehogs prefer these to all other options. Igloos: These are translucent plastic igloo shaped huts. I have had mix results with my hedgehogs with these hidey places. Some will use them and others won't even go inside. If you decide to try one of these you may find that your hedgehog will use them if you add a few pieces of cloth for them to snuggle in. Ice cream tubs: Do you have a 1 gallon plastic ice cream tub laying around? If you cut an entrance hole in the side these can become a cheap replacement for the above mentioned Igloos. I highly recommend ensuring that the cut edge of the plastic is smooth, you may even want to line the edges so that your hedgehog does not cut itself on the plastic. PVC Pipes: My first hedgehog adored sleeping in a piece of PVC pipe. I bought a 1 foot length of pipe from a hardware store, washed it throughly and made sure there were no burrs (sharp pieces) on the edges. She loved to make a nest in the back of the pipe and run into her burrow when she wanted to hide. Other ideas: You can use just about anything for your hedgehog to hide under or in while they sleep. The above items are items that have been used with great success. When selecting a sleeping place try to select an item that will also help keep your hedgehog warm.